One is in no doubt, when chatting and tasting with the affable Laurent Champs of Champagne Vilmart, that one is in the presence of a very assured and gifted winemaker, a visionary in the mould of his close friend Anselme Selosse. 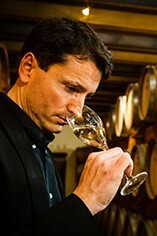 One must listen and taste carefully here however; it is easy to draw the wrong conclusions, be they from the somewhat grandiose architecture of the property or the seemingly ambitious winemaking, most of which relies on oak barrels and battonage, or, conversely, from the reputation of Rilly La Montagne for making sound but not spectacular wines. The answer to the enigma, as always, is located in the glass. These wines are neither over-made, nor mediocre. 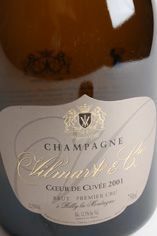 Instead they represent some the best examples to come from the Montagne de Reims; the well-named Coeur De Cuvée is now one of the most sought-after of all Champagnes.